I'm so excited to share the awesome projects from the Blogging 2 Better Challenge! A few of my blogging buddies, Jenna from SAS Interiors, Kim from Sand and Sisal, Allison from House of Hepworths and Monica and Jess from East Coast Creative have been involved in a fun blogging group where we've been sharing our blogging ideas and tips with each other. So we thought it would be fun to have a little DIY challenge. 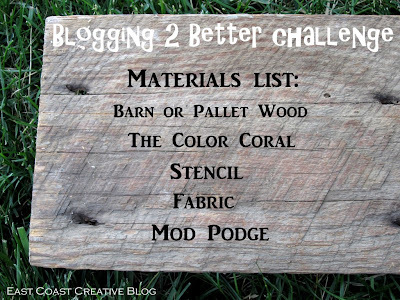 The challenge was to use a list from that the amazing Beckie from Infarrantly Creative gave us to create a DIY project. It is so fun to see how different all the projects turned out yet so cool from the same basic list of DIY ingredients! We had to use everything on the list but could add other things to it. 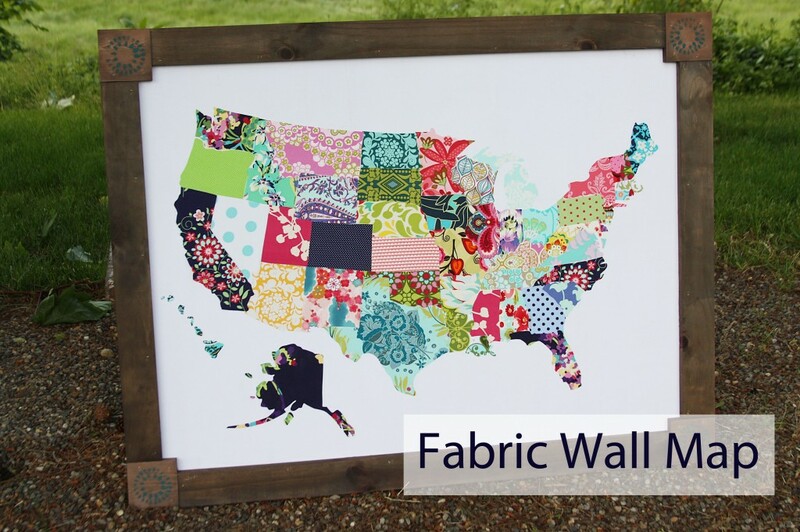 I made a fabric map for my niece's bedroom. The hardest thing for me to do was the stencil! It took me lots of thinking to decide how I wanted to use that in the project. 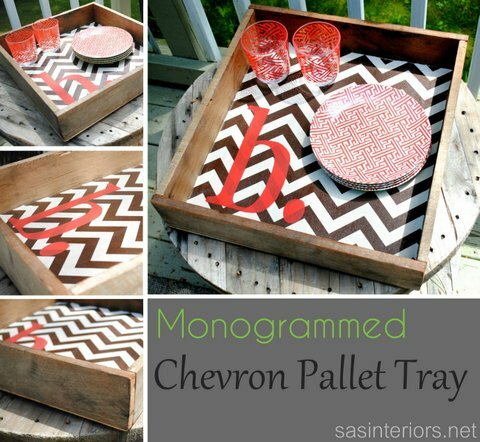 Jenna from SAS Interiors made an adorable Chevron tray. I'm so going to be making one too. I love trays, I love Chevron and it has a cute monogram. Love. Jenna is a real life designer and has so many great tutorials and awesome advice. She is also a fellow turquoise lover like me! 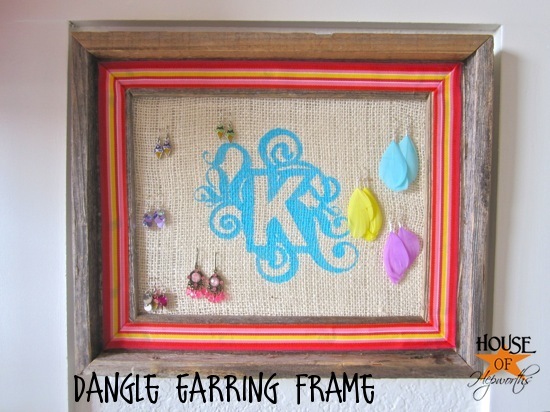 The awesome Allison from House of Hepworths made a super cute earring frame. She even used my favorite color on the monogram! Allison was one of the first blogs I started reading so it's so great to get to know her! My favorite post of hers is her tutorial on how to make a super long curtain rod for cheap! 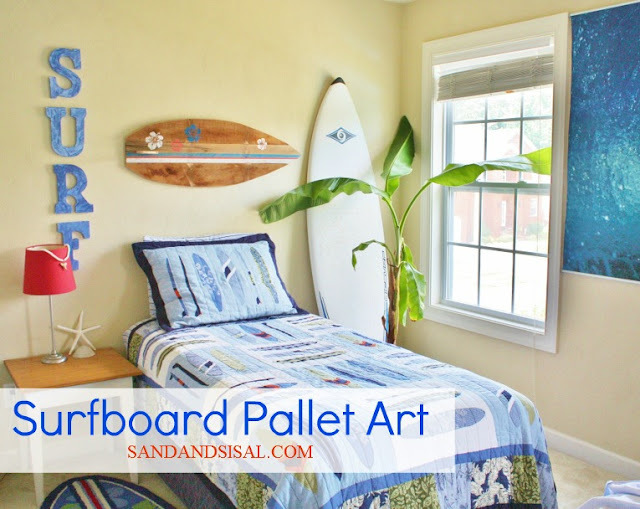 Kim from Sand and Sisal made surfboard pallet art. How awesome is that be for a beach themed bedroom! 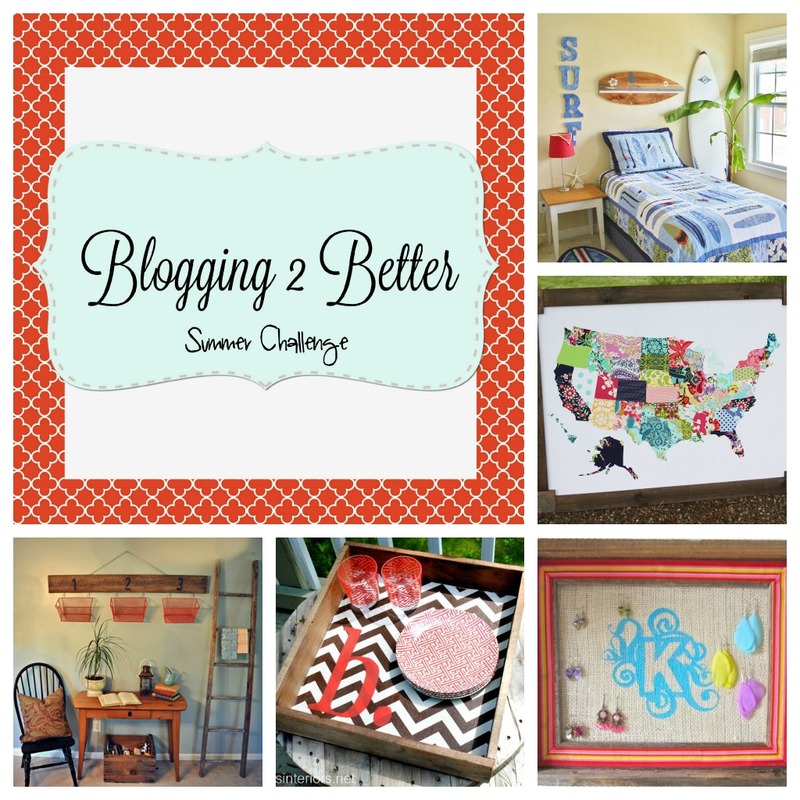 I visit Kim's blog to get my sunshine fix on the cold and rainy days in Seattle. Kim's laundry room is so gorgeous and inviting, it makes me want to just drop by with my baskets full of dirty clothes and hang out! 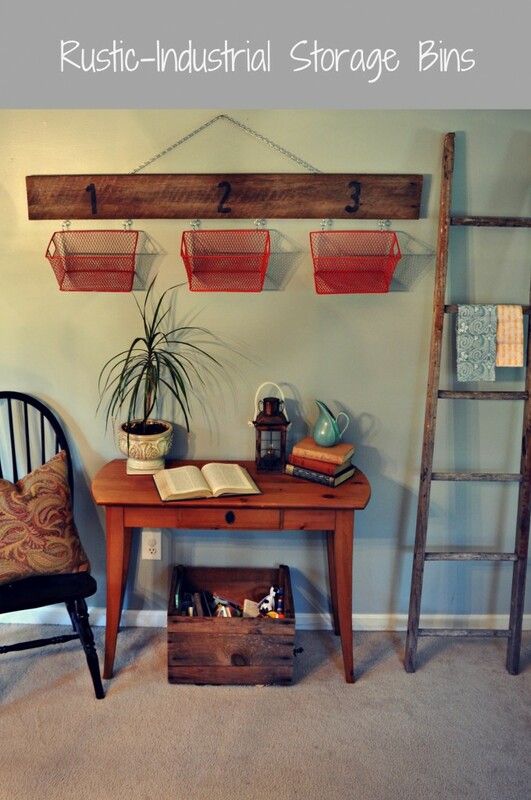 Monica and Jess from the blog East Coast Creative made a Barnwood Storage rack. My two loves, baskets AND rustic wood in one project! Monica and Jess are both super creative and come up with the most awesome ideas. Like their huge framed art that was less than $20!! 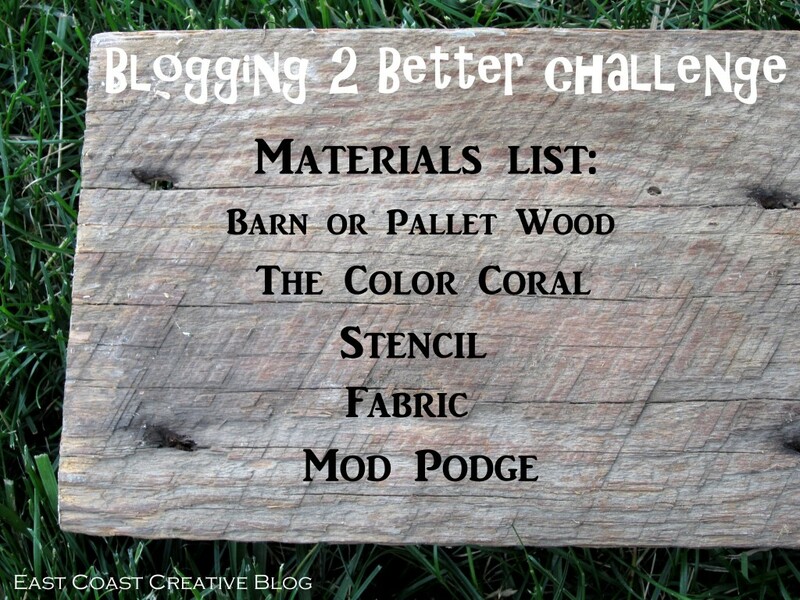 I had so much fun doing this challenge and hope you will give one of the projects a try!